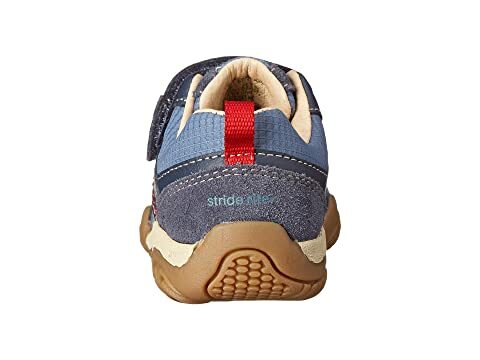 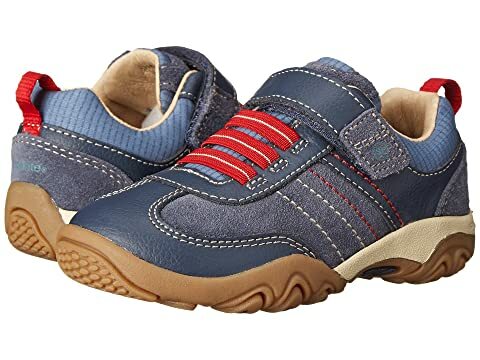 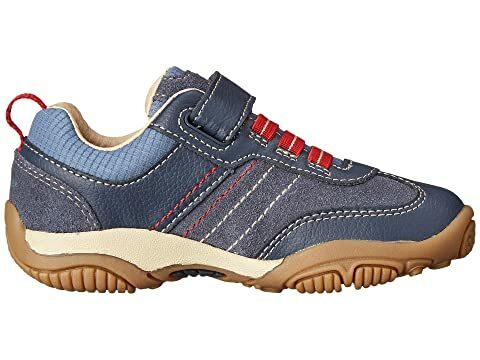 The sporty athleisure of the Stride Rite® SRT PS Prescott puts the comfort in their every step! Padded tongue and collar provide additional comfort and cushioning. 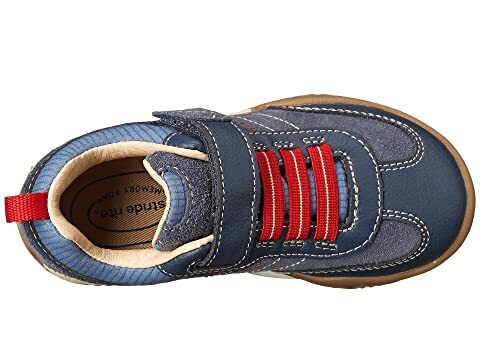 Hook-and-loop and elastic laces allows for easy on and off. 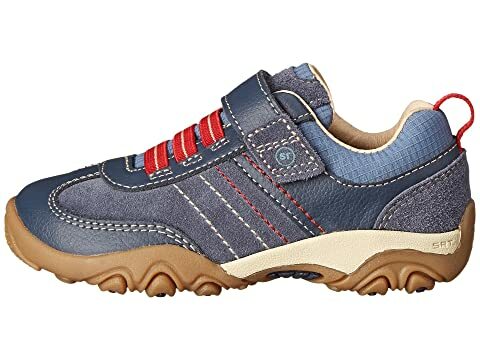 Breathable mesh lining features antimicrobial treatment to reduce odors. 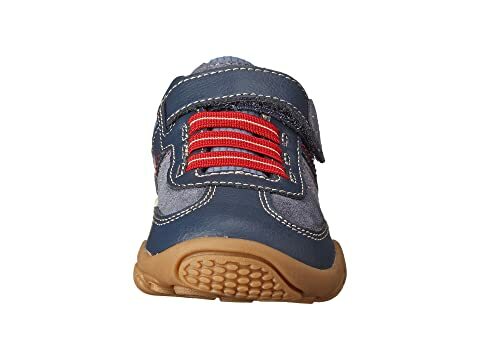 Memory Foam footbed provides optimal comfort for their little feet. 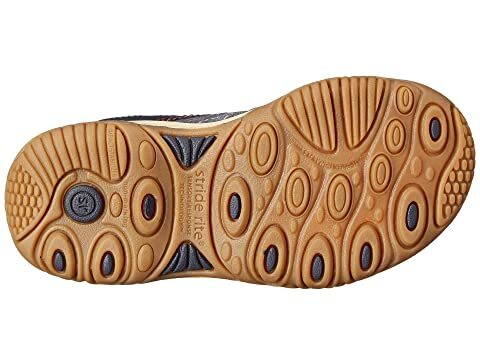 Flexible EVA outsole features rubber pods to help prevent slips.